During the Mycenaean period Messinia dominated the Mycenaean kingdom of Nileidon. According to Homer other ancient traditions, and the excavations at Pylos seems the kingdom of Nileidon prevailed over a large area of southeastern Peloponnese that included the current Messinia, Triphylia and part of Arcadia. The Achaeans who were prevailed over the other tribes the Kafkones and Pelasgians in the area spoke the Greek language of the Mycenaean period and worshiped the gods of the Greeks and local deities. This kingdom finally collapsed after the invasion of area by the Dorians in the mid 12th century BC. It is believed that the leader of the Dorians who occupied Messinia was Kresphontes. The Dorians established their capital in the region Stenyklaro. Messinia was famed for the fertility of the soil, which led later to the Spartan invasion in the region and at the outbreak of the First Messinian War. 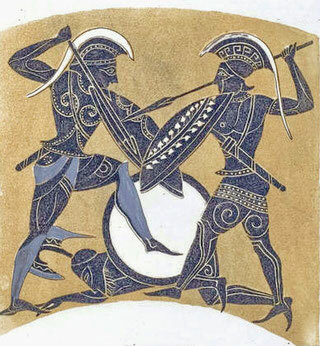 The outcome of the war resulted in Messinia being occupied by the Spartans and Messinian population was subjugated to the Spartans and were their Helots. A helot occupied a status "between free men and slaves" and was tied to the land. They worked in agriculture as a majority and economically supported the Spartan citizens. The Messinians rebelled a century after bringing the outbreak of the second Messinian war. 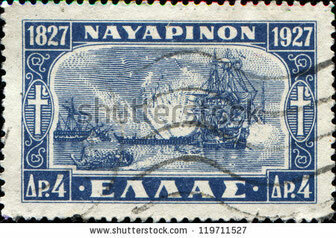 This war also involved other Peloponnese states. The Messinians were allied to the Argives, Arcadians, Sikyonians, Elis and Pisates while the Spartans allied themselves with the Corinthians and the Lepreates. The Corinithians were the sworn of enemies of the Argives and the latter were the enemies of Ilians. After years of conflict, the Spartans managed to suppress the revolt. The Messinians revolted again in 464 BC. Following the devastating earthquake that struck Sparta the Messinians took the opportunity to revolt. Sparta needed external help from its allies to quell the revolution. The Spartans enlisted the help of Athenian soldiers who were sent to Laconia only to shortly to depart, as the Spartans felt uneasy with the presence of Athenian soldiers in their territory. Eventually the resistance of the Messinians folden in 460 BC As a result of this defeat many Messinians took refuge in Nafpaktos. Messinia was finally liberated after the campaign of Thebes in the Peloponnese in 369 and 368 BC It was during this time that the new capital of Messina, Messini was founded. Messinians never acquired great power in the coming years. After the Thebian hegemony they became allies of the Macedonians and later participated in the Achaean League until the conquest of Peloponnese by the Romans. The Byzantine era followed and during the 13th century the Messinans were conquered once again by the Franks. Finally in 1498 the region passed on entirely into the hands of the Turks. The Turkish reprisals were swift and devastating resulting in a large loss of life on the part of the Messinian population. On March 23, 1821 Gregory Papaflessas declared the revolt against the Turks and liberated Kalamata. 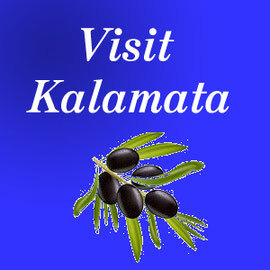 This was a major event in the war of independence, making Kalamata the first Greek city to be freed from the occupation of the Ottoman Empire. It remained free until 1825, when Ibrahim made his first foray. Despite the heroic resistance of the Greeks, Ibrahim destroyed the whole of the Peloponnese which included the massacre of its population and the burning of its fruit and olive trees. 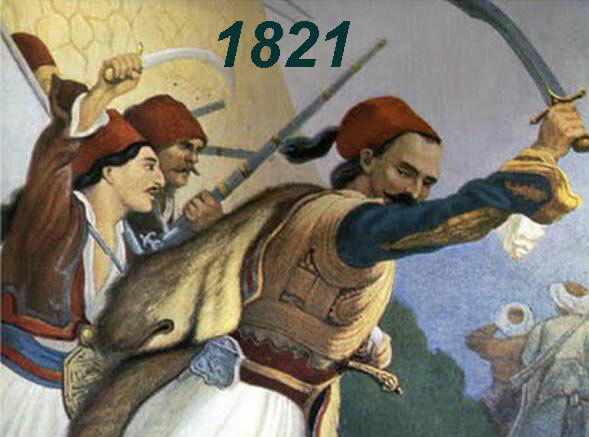 Finally on October 20th 1827, the Turkish-Egyptian alliance was defeated by the allied fleet at the Bay of Navarino. This led to the liberation of the Peloponnese and the creation of the new Greek state. The beginning and the end of the Greek Revolution is written on Messinian soil !